SASH Gals: LulaBelle is Here! Two Sisters at Squirrel Hollow is now available! creatively inspired to make all sorts of fun projects! This beautiful pillow features not only sage advice but adorable Lulabelle ruffles. How about these fun travel accessories! Look at these adorable dresses! 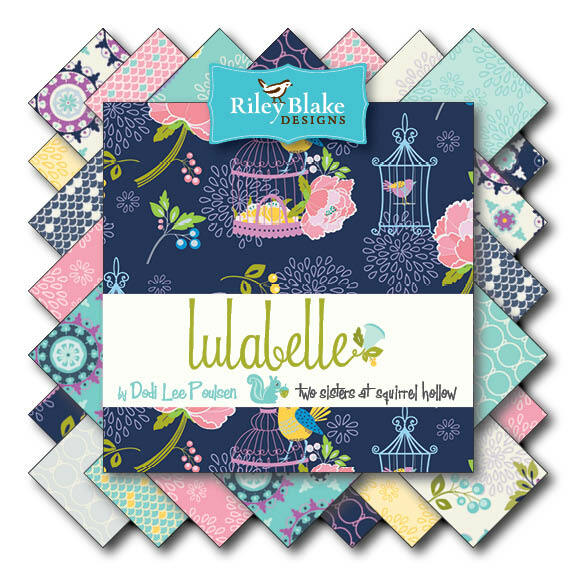 We have enlisted the creative talents of our blog friends to showcase Lulabelle and hopefully inspire you to make wonderful creations of your own with these gorgeous fabrics. Each day a new friend will highlight a project using Lulabelle. We are so excited to see what they have created! We also have a give away! 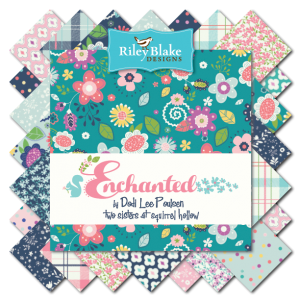 At the end of the blog tour we will be giving away a stack of fat quarters from Lulabelle! Just leave a comment here during the week, one per reader please, and at the end of the tour one random reader will win a fat quarter stack of this lovely fabric line! If you receive this blogpost via email, remember, you need to come to the blog www.sashgals.com to leave your comment and enter the contest. It’s going to be a fun week!!! Wow - Such lovley fabric and love the dresses! Great fabric! Love the pillow you made with it! I love the Bloom mini quilt. Those are such lovely prints! The colors and prints are so great! The dress models are the cutest! I love your new fabric line. ❤️ The colors are gorgeous. I'm on a fabric diet, but this gorgeous fabric might end it. You've shown a lot of wonderful ways in which to use this really pretty line of fabric! Very pretty, love all the beautiful blues and pinks. I can never have enough blue! The fabrics are Amazing!! And the Patterns...Oh my! !...Gorgeous dresses!!! & the Pillow & lil' Quilt are AWESOME!!! Beautiful fabric and love the dresses,so cute! What a lovely collection! My two-year old granddaughter would love a dress made from some of the prints. What delightful dresses, and delightful fabric! Those are the cutest dresses! Great bundle of luscious prints! Those dresses are almost as pretty as the little ladies wearing them! Very pretty collection of fabrics and so versatile. Wonderful fabric and such sweet young ladies to model. AWESOME, Thank you for the chance to win. This fabric is gorgeous! I love what everyone has done with it. This fabric really pops. Love the colors and the fun designs. I love this fabric collection! Thanks for the chance to win! The fabric is lovely! I've already seen some cute projects on the hop and discovered some new-to-me blogs. Thanks for the fun! Would love the win!! The prints and colors are so great!! What great fabrics - and the models are so cute!! I love all of the dresses made from this fabric. Now I just need a granddaughter to sew for. Omg I love all these fabrics. I've been asked to make 2 quilts with mint and navy and these are all perfect. My search ended before it started. Love the fun travel accessories - so cute! 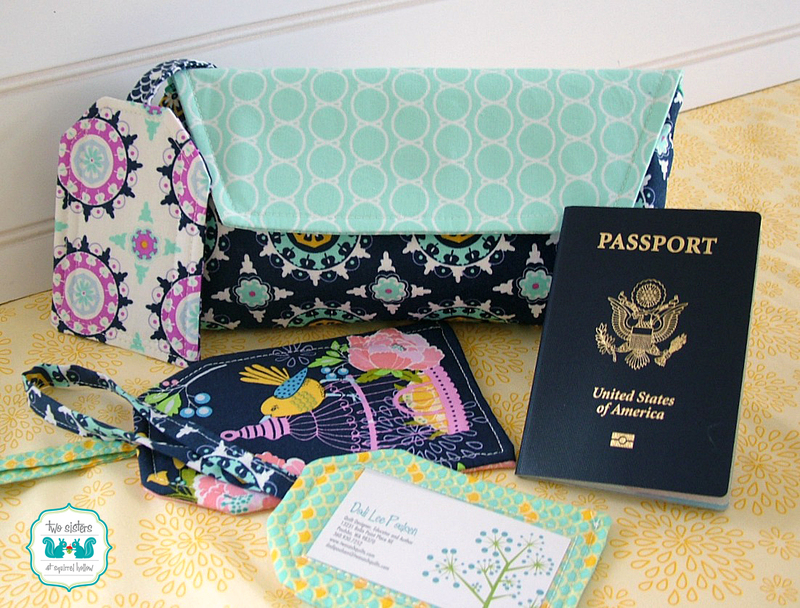 Love the fabrics & the travel accessories! Love this fabric. My little girl would love it too! So many great ideas! beautiful fabrics, perfect for a little girly girl. I love your pillow with all the pleats and the embroidery: Jaw-dropping! !